A Greek-Aussie: love writing, love the outdoors, love my 2 kids, love heavy metal and love life (usually!). 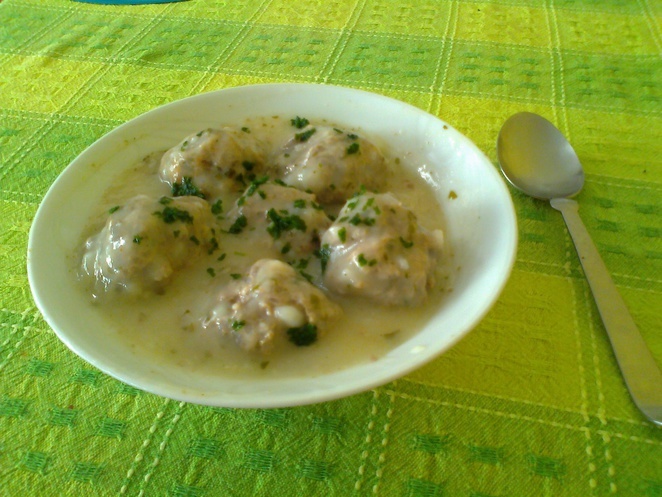 Reminiscent of a 70's Aussie dish, 'porcupine balls', this Greek dish is actually called yiouvarlakia. Whether or not you can get your tongue around that, your mouth will certainly enjoy this delicious, healthy and comforting dish. The extruding bits of these 'porcupine balls' are soft and white (the rice), the meat's lean hence muscle building mean and the egg and lemon sauce is a winter warmer but can also be a summer primer. In a largish pot, 6 cups of water & 1 bay leaf. Wash hands, and knead the mixture till well mixed. Roll into balls, and drop gently into boiling water. Reduce heat a bit and cook on medium stove for about 40 minutes. [Much of the water should've absorbed and there still should be a bit less than half of meatballs covered by this water (if too little, top up with some kettle boiled water / if too much, ladle out excess]). 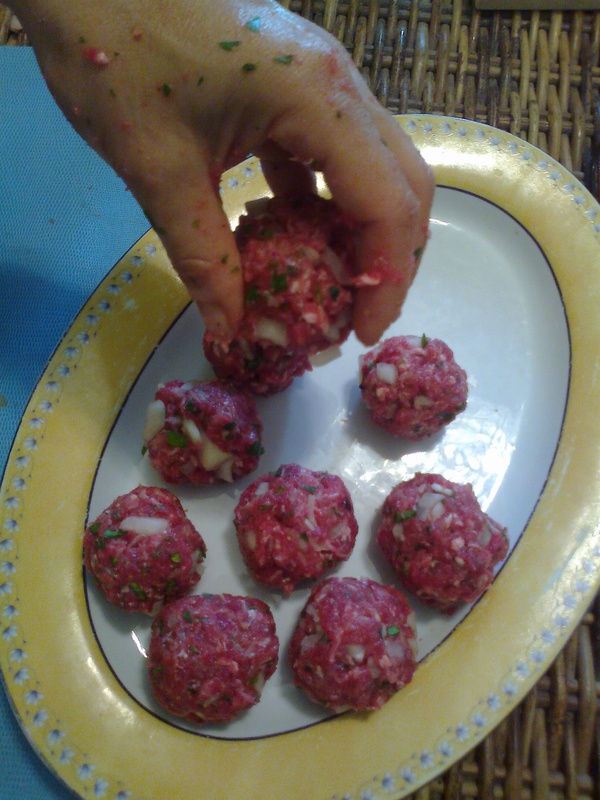 Add ½ cup of the meat ball cooked or (still cooking water) to the frothy egg and lemon mixture and 3 tablespoons cornflour and continue the heavy duty mixing. 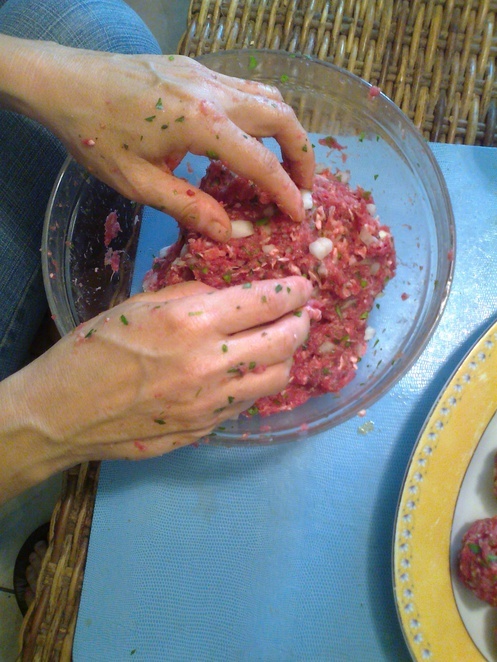 Add salt and pepper and 1 tablespoon of olive oil and 1 tablespoon of the chopped parsley, and serve!